In 2017, SAMS Provided Over 3.5 Million Medical Services. Learn More About Our 2017 Impact! Stand With Dialysis Patients in Jordan & Lebanon. Over 300 Syrian Dialysis Patients Lost Access to Treatment. Join SAMS on a Medical Mission Today. The Syrian American Medical Society (SAMS) Foundation is a global medical relief organization that is working on the front lines of crisis relief in Syria, in neighboring countries, and beyond to save lives and alleviate suffering. SAMS proudly provides medical care and treatment to every patient in need. 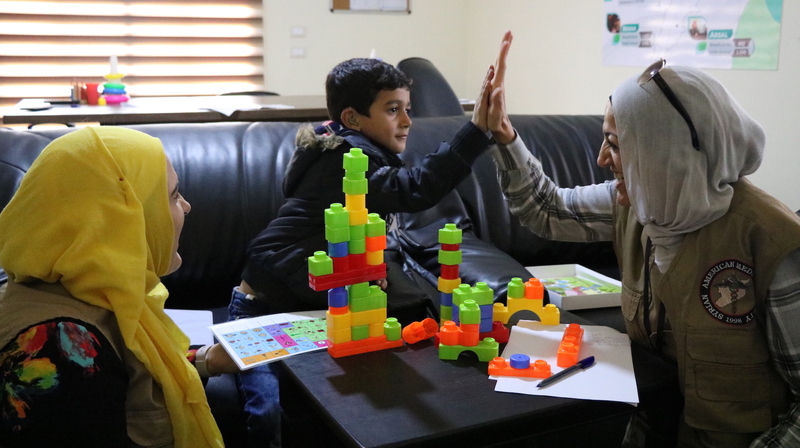 During our medical mission to Jordan in April 2018, New Jersey-based doctors Fares and Salem Samra met three-month-old Iyas. Iyas, who was born with a cleft lip, underwent surgery to correct this congenital condition. After a successful hour long procedure, we reunited the tiny patient with his parents. This is the third medical mission for the Samra brothers, whose roots are in Syria. 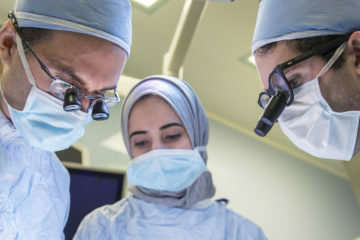 "Meeting 6-month-old Iyas, and providing reconstructive surgery for his cleft lip, was undoubtedly a highlight for my brother, Dr. Salem Samra, and I," said Dr. Fares Samra. 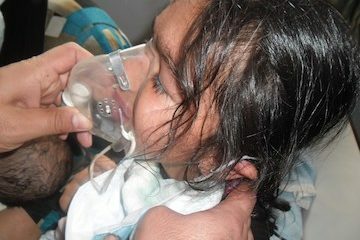 Dia, 6, was one of our young patients in East Ghouta. Dia was injured in an airstrike attack on his home in the besieged area. Sadly, his mother was killed in the attack, and his sister was badly wounded. Dia suffered a spinal cord injury that paralyzed his lower limbs. He continues to undergo physiotherapy at a specialized SAMS-supported facility in East Ghouta. Despite the dire situation in East Ghouta, Dia's resilience and determination to get better was inspiring. Thanks to SAMS medical workers at our physical rehabilitation center in East Ghouta, Dia received the care he needed, and our staff sawa significant improvement in his mobility. A pregnant patient recently arrived at a SAMS-supported medical center in Daraa, experiencing early labor. SAMS medical workers responded immediately, performing tests that revealed that she was expecting triplets. She received an emergency c-section, and we're happy to report that she now has three healthy babies. The young patients stayed in the hospital for a few days under careful observation, and they were able to leave with their mother, all in good health. 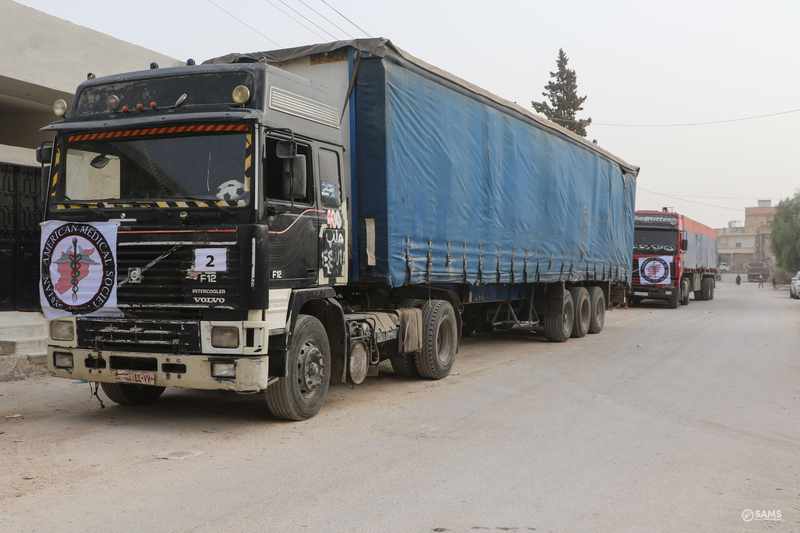 In 2017, SAMS staff in Syria and beyond delivered over 43,500 babies, and provided 469,598 reproductive care services, with 450,934 in Syria alone. Five-month-old Rukaya recently came to a SAMS-supported hospital in Idlib in critical condition. After performing several tests, doctors diagnosed her with pneumonia. They acted immediately, opening up her airways and providing oxygen, keeping her under close observation. Rukaya was admitted to the intensive care unit, and provided with 24/7 medical care. After five days in the hospital under intensive care, we are relieved to share that she was discharged from the hospital in excellent condition. 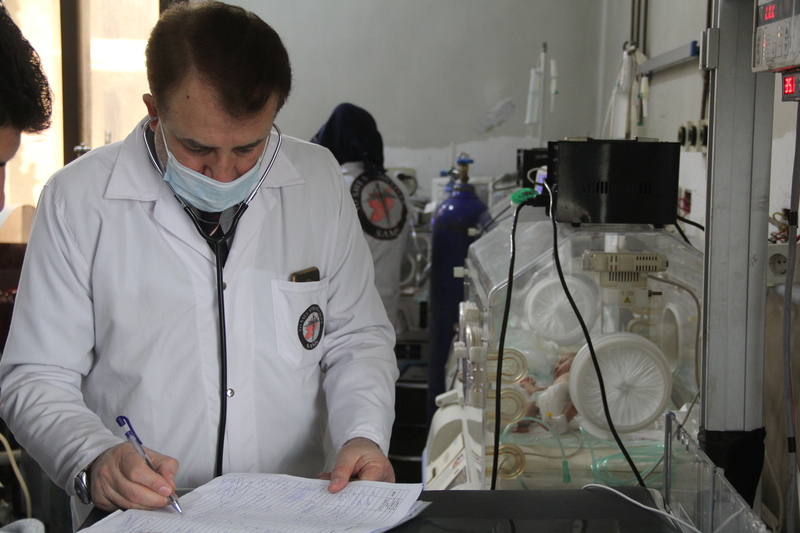 Thank you to our tireless medical staff in Syria for dedicating so much to their patients! 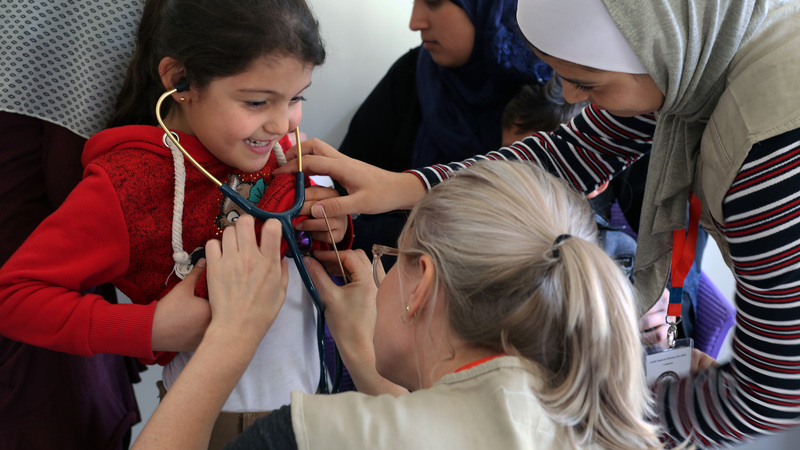 During a SAMS medical mission in July of 2017, medical volunteers met many displaced Syrians struggling with the lingering effects of the crisis. Hadeel, 12, was one of these individuals. Hadeel lives in Al-Zaatari Camp, home to 80,000 refugees. There, she met Vickey Patel, physical therapist, and Lydia Palmer, occupational therapist, volunteering with SAMS. Hadeel was in her home in Syria when an airstrike caused the building to collapse and crumble on top of her. She survived four hours buried under the rubble, but was left with a traumatic brain injury, a spinal cord injury, and was in a coma for nearly a month. During the medical mission, Patel and Palmer worked with her to address the injuries, with Patel focusing on her legs and brain stem, and Dr. Palmer focusing on her arms, hands, and brain stem. Hopefully this is only the beginning of Hadeel's recovery.